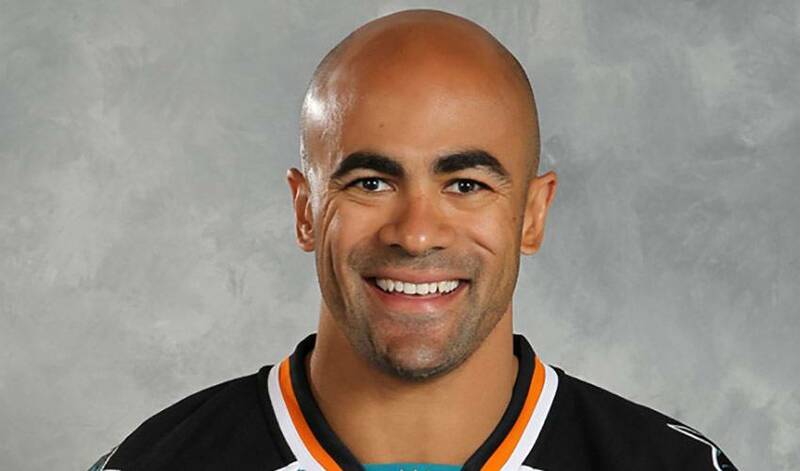 While there are plenty of new things in store for Jamal Mayers in 2010-11, the blue-collar forward will kick off the new NHL season in a very familiar place. Over the course of nearly 750 regular season games, Mayers, who is set to start his first year as a member of the San Jose Sharks, has made a career of out of being a strong physical presence who can also net timely goals. It's something Swedish hockey fans discovered when the Toronto native suited up for 19 games with Hammarby IF of the country's Elite League during the 2004-05 NHL lockout. Mayers will likely be reminded of that when the Sharks face-off against the Columbus Blue Jackets on October 8 and October 9 in Stockholm, the city where he played in during his time in Sweden. He's thrilled to be back in Europe. Mayers is hoping the Sharks can make history by delivering the city its' first taste of Stanley Cup glory. San Jose GM and Executive Vice President Doug Wilson believes Mayers will be a good fit with the Sharks, having brough him unto the club during the off-season. Mayers is looking to make the most of his time in San Jose. “I don't think I ever thought I'd be playing this long,” admitted Mayers, was originally selected by St. Louis in the fourth round (89th overall) in the 1993 NHL Entry Draft. “You begin hoping you can play one full season and the next thing you know, you are in your 30's and you've almost played in over 700 regular season games. I've been very fortunate to be in this position. You certainly don't ever take it for granted. Whether it's dropping the gloves, dishing out a bone-jarring body check or utilizing his speed on the forecheck, Mayers is willing to do it all. And having the chance to do it in familiar territory, at least for two games, is definitely an added bonus.